Overfeeding – Most commonly seen affecting aquarium newbies. Always stick to your feeding schedule and never get swayed away by enthusiasm. Sometimes it is fun watching the fish swim and we often think that in order to make them even more active, we need to provide them with more fish food. This perception is absolutely wrong. Certain fish like goldfish often has the tendency to beg and swim actively especially after they recognize you as the owner who feeds them. And we often took pity on this behavior and mistaken this eating frenzy as hunger. Unlike mammals and other living organism, fish do not have the tendency to stop eating when they are already full and if given the chance, they will gobble up very bits and tiny pieces of food left. There are many reasons why we should avoid overfeeding. First, the uneaten food if left unattended will start to decompose and become a substrate for unhealthy growth of bacteria and thus fouls the water. 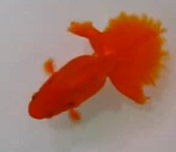 Second overfeeding makes the fish become bloated and this is not healthy for the fish. Overcrowding – Sometimes even if we managed to get the largest and best aquarium size possible, we often think in such a way that if there’s still space available, so why not fully utilize them? After all, it can still accommodate a few more fish packed tightly into those corners? Wrong. The more you add, the less oxygen is available to the other fish and more waste will be generated instead. Unless you want to commit more time to perform aquarium maintenance, you should avoid overcrowding at all cost. Another reason is because less space means the fish won’t have the chance to swim freely and this will lead to stunted growth. 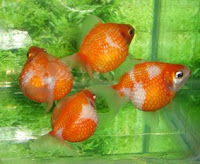 Adding incompatible tank mates – If you happen to visit the aquarium shop often, it is always exciting to see new stock arrival and one will always be tempted to buy new fish as addition to the home aquarium. But before you do that, have you check whether the fish can even live together without showing aggressive behavior towards each other? Ask yourself a question, can the other big fish end up eating the small ones? You might want to check out my other blog post about community aquarium, which discusses about having compatible tank mates. Lack of commitment – Most people always believe in the notion that with like high-powered aquarium filters, there will never be any need, ever again to change the water. This, of course is not true because there’s nothing better than constantly replacing the aquarium with fresh and natural water. Bear in mind that, even though you have filters, there are certain waste which are water soluble especially ammonia, nitrite and nitrate which can only be removed by removing a portion of the water and then replace with fresh new one. Read up more on Fish Care. No observations – Observations are very important and is the most important prerequisite separating between a successful and non-successful aquarist. On and off just by simple observation, sometimes, we can pick up and notice fish that become listless or inactive, some with torn fins, others with fungal growth and these signs show that the fish would require immediate attention. If we do not take the effort to overcome these symptoms, it would eventually escalate up to the point that treatment is too late to have any effect. If you notice there’s sick fish in the aquarium, immediately remove and quarantine so that you can administer treatment without affecting other fish.